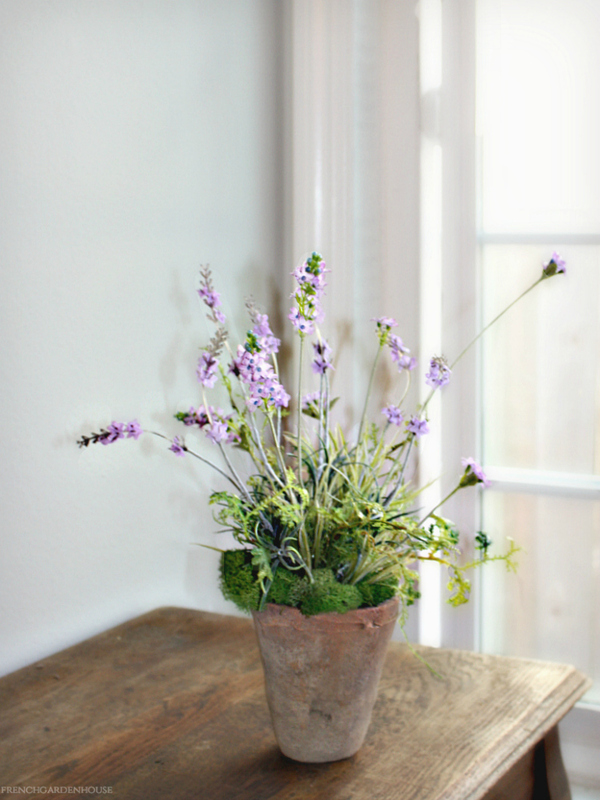 French Country Lavender Topiary made exclusively for you in our own studio. Planted in a bed of lush green moss, the hand made pottery pot is meant to look like an antique used long ago in the greenhouses of Provence, France. Each is perfectly imperfect. Measures 15" h x 4-1/2"w.